Filipinos still trust the United States the most despite the Duterte administration's pivot to non-traditional allies like China and Russia, results of a new Pulse Asia survey showed. The poll showed trust level for the long-time Philippine ally at 84 percent—five points higher than the 79 percent in March 2017. Only 16 percent of the 1,800 respondents said they distrust the superpower. Japan placed second after obtaining a 75 percent trust rating and 25 percent distrust rating. Australia got 72 percent trust and 27 percent distrust rating, while the United Kingdom got 57 percent trust rating and 40 percent distrust rating. For regional organizations, the Association of Southeast Asian Nations got 82 percent trust and 16 distrust rating, while the Asia-Pacific Economic Cooperation obtained 80 percent trust and 17 percent distrust rating. The same survey showed that China and Russia, which the Philippines is deepening its ties with, were the least trusted among the countries and foreign organizations on the list. 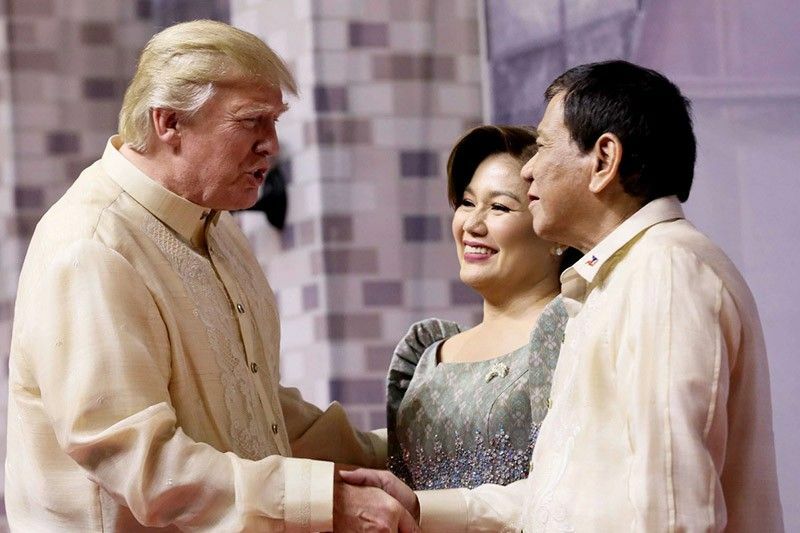 n this file photo, President Rodrigo Duterte and his partner Honeylet welcome US President Donald Trump prior to the start of the gala dinner hosted by the Philippines for the leaders of the Association of Southeast Asian Nations (ASEAN) member states and dialogue partners at the SMX Convention Center in Pasay City on November 12, 2017. Sixty-four percent of the respondents expressed distrust to China—40 percent of which said the Philippines should extend only a little trust, while 20 percent said no trust should be given to China. Only 39 percent said the country should give at least a fair amount of trust to China. Last November, the Philippines and China agreed to improve economic, maritime, defense and security ties following the first state visit of President Xi Jinping to Manila. 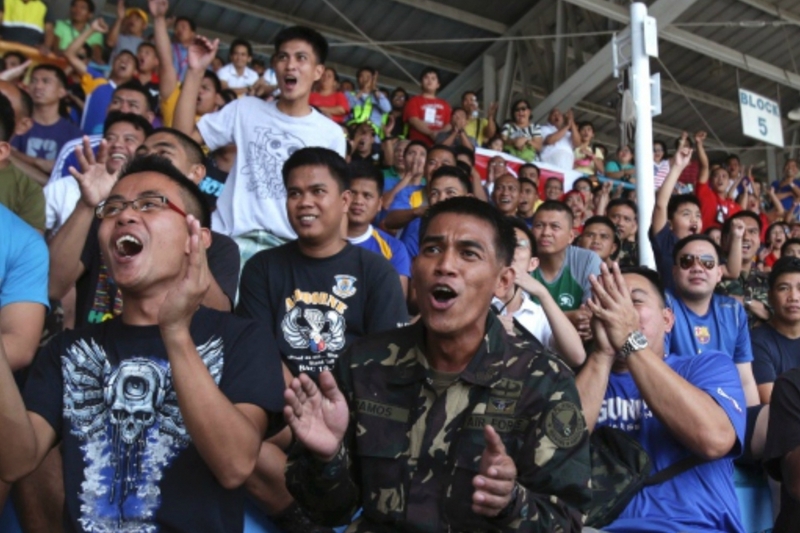 Only a little more than four of 10 Filipinos (45) said they trust Russia. Fifty-four percent said the Philippines can extend either a fair amount of trust or little trust to the alternative power. The poll was conducted from December 14 to 21 using face to face interviews. It has ±2.3 percent margin of error at the 95 percent confidence level. Among the events at the time of the survey were the state visit of Xi, decision to name Udenna-China Telecom as the provisional third telecommunications company and approval of the martial law extension in Minadanao.